Day 1. Drive to Lake Mburo NP. Travel time +3hrs. Day 3. Transfer back to Kampala. After your morning breakfast, you will checkout of the lodge and head for a morning game drive to roundup with your safari drive as you later get back on the road to find your way back to Kampala via Kasese with a beautiful view at the foot roots of the Mt Rwenzori with a stopover in Fort Portal for lunch. After lunch head back to Kampala. End of service. Meal Plan: B-L.
End of the 3 Day Wildlife Safari in Uganda. 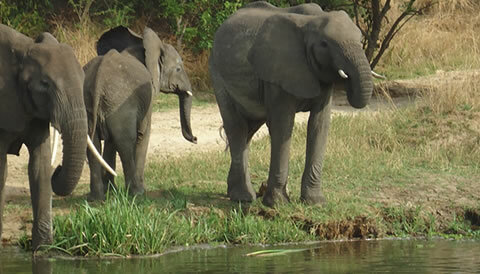 The 3 Day Wildlife Safari in Uganda package excludes expenses of personal nature like: Air fare, Visa, drinks, laundry, tips to local guides, telephone, porter fee while trekking, personal insurance, personal shopping bills and cigars.